Babies and infants have thin and delicate skin. 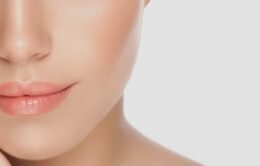 There are so many external factors that can irritate their skin and cause illness, for example, harsh climate conditions such as extreme heat or sudden temperature drop, or foods that are new to the digestive system, all these things can lead to aggressive skin responses such as eczema and rashes. Therefore, it is important to use 100% all natural skin care products for your newborn. This is where Emu Oil comes in, it is not only a natural skin moisturiser for healthy baby skin, but also an effective treatment for all sorts of skin conditions. Common skin conditions for babies and infants include eczema, seborrheic dermatitis, diaper rash and other rashes. Diaper rash is a skin disturbance that happens in babies. The main symptom is a patch of bright red skin on the buttocks. It is usually caused by wet nappies, diarrhoea, new foods and antibiotics. 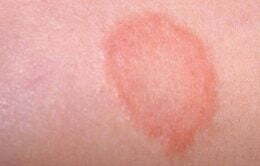 In severe cases, the rash can spread to other body parts and a fever can develop. Other types of rashes include fiery rashes, irresistible rashes (for example, chickenpox and roseola) and skin illnesses (for example, dermatitis and psoriasis). Regardless of whether it is for the treatment of cradle cap, diaper rash, eczema or different rashes such as chickenpox or psoriasis, Emu Oil is an all-characteristic item with antibacterial and calming properties. It can sufficiently relieve skin rash symptoms such as itchiness, redness and pain, and eventually reduce inflammation and regenerate skin tissues. Unlike traditional medications, Emu Oil is hypoallergenic and has no proven side effects. Furthermore, Emu Oil can also be used as a skin care product to moisturise your newborn’s delicate skin.